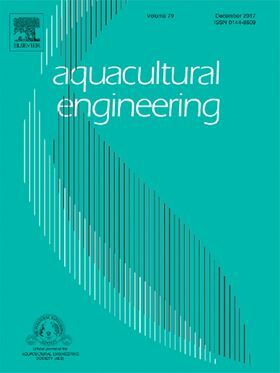 The research paper 'Impact of fish feed on airlift pumps in aquaculture systems' has been published in Elsevier journal Aquaculture Engineering. Airlift pumps are commonly used in aquaculture systems to circulate water and maintain critical gas levels. In production marine reuse systems, a significant decrease in airlift pump flowrate was visually observed immediately after feeding. In experimental systems without fish, it was found that feed additions of less than 10 mg/L decreased water flow by as much as 78% for diffuser injectors but only 10% for pumps with direct air injection. For both injector types, feed impact diminished over several hours but persisted longer in seawater than in freshwater. Video footage revealed increasing bubble coalescence with the addition of feed. The decrease in pump flow is likely attributed to water property changes due to compounds leaching out of the feed. This decrease in pumping rate has the potential to negatively impact water quality, system performance, and fish health. Cost-effective irrigation utilizing clean energy would contribute significantly to the sustainable development of the agricultural sector in Sudan.